The 13th dive of the Raja Ampat trip in February 2013 on board the S/Y Indo Siren. Raja Ampat means "four kings" and this site was meant to be the representative site for Raja Ampat. It was enjoyable enough but no more special than the other sites we visited. 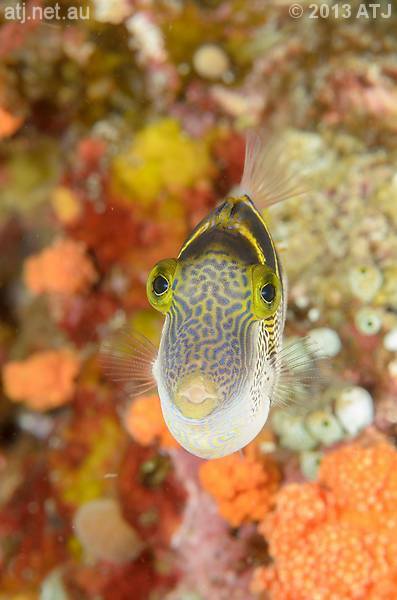 There were some interesting nudibranchs seen but for me the most interesting thing was seeing a saddleback puffer and then the very next fish I saw and photographed was a filefish mimicking that very species of puffer. At the end of the dive it was raining quite heavily and we could see and hear the rain on the water surface. 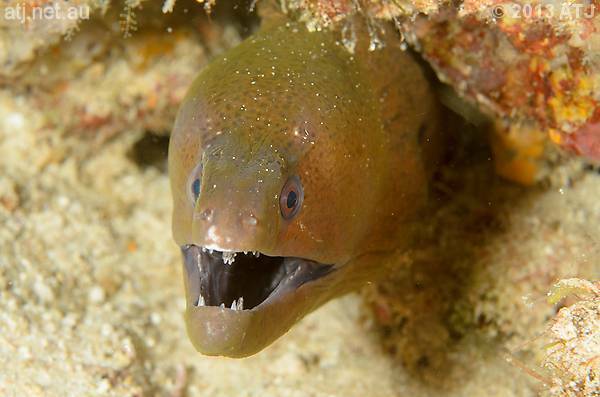 Giant moray, Gymnothorax javanicus. 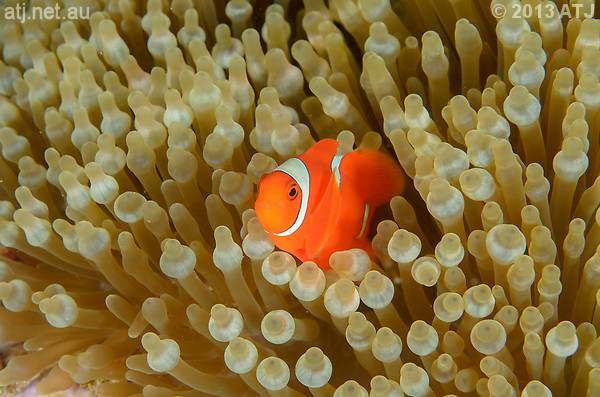 26.5 m.
False clown anemonefish, Amphiprion ocellaris. 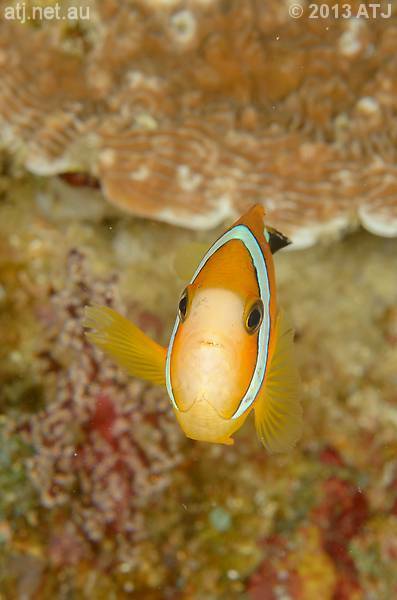 25.8 m.
Clark's anemonefish, Amphiprion clarkii. 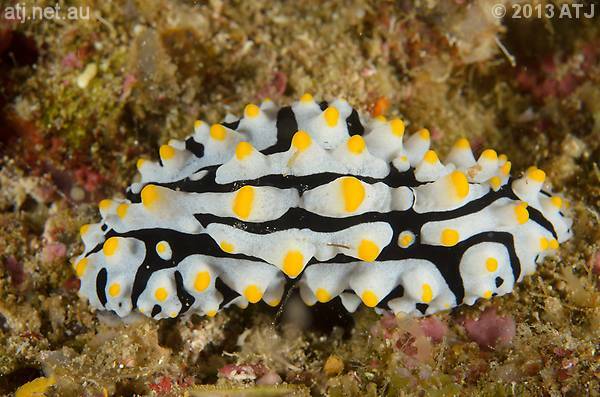 23.1 m.
Nudibranch, Phyllidia varicosa. 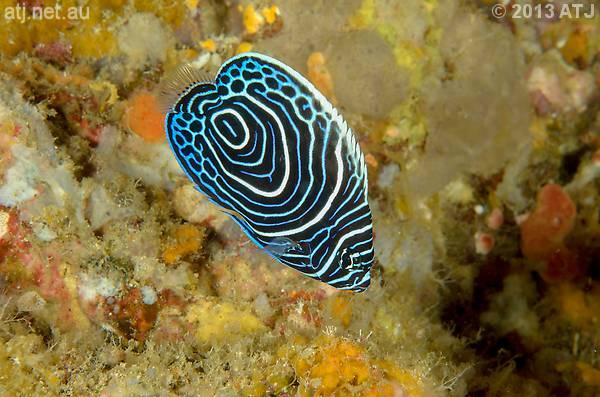 24.7 m.
Juvenile emperor angelfish, Pomacanthus imperator. 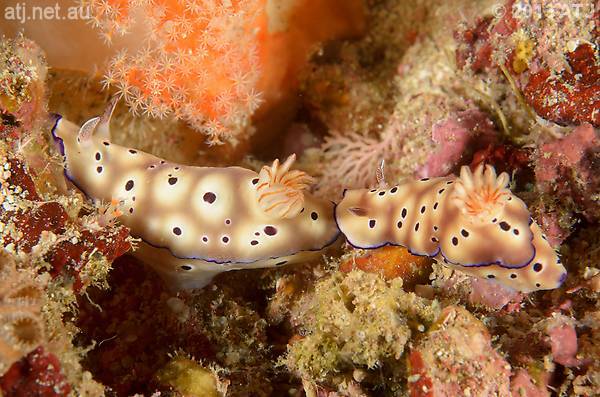 24 m.
Nudibranchs, Risbecia tryoni. 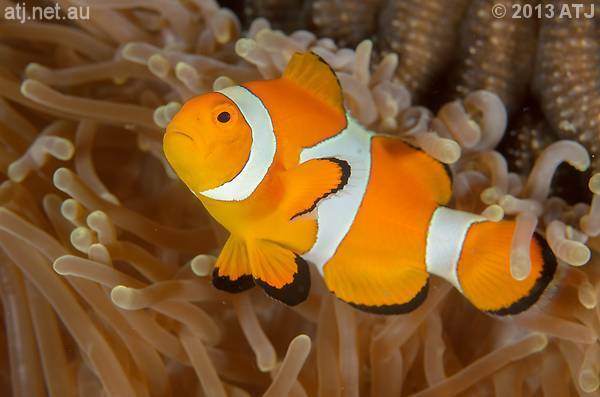 20.3 m.
False clown anemonefish, Amphiprion ocellaris. 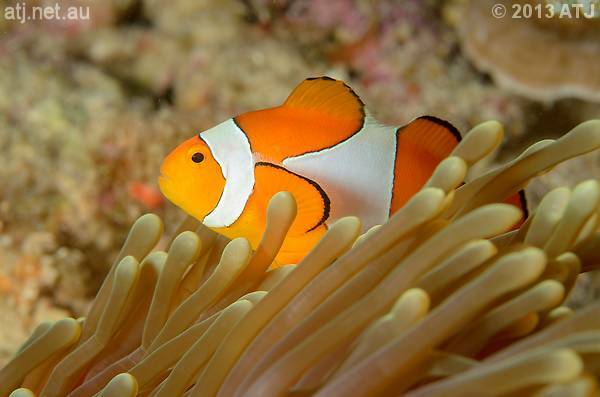 17.1 m.
False clown anemonefish, Amphiprion ocellaris. 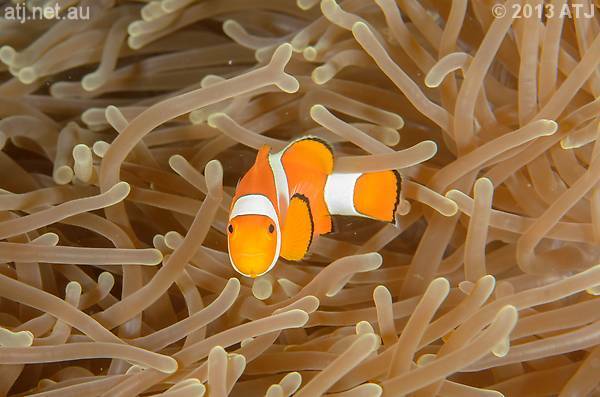 17.2 m.
False clown anemonefish, Amphiprion ocellaris. 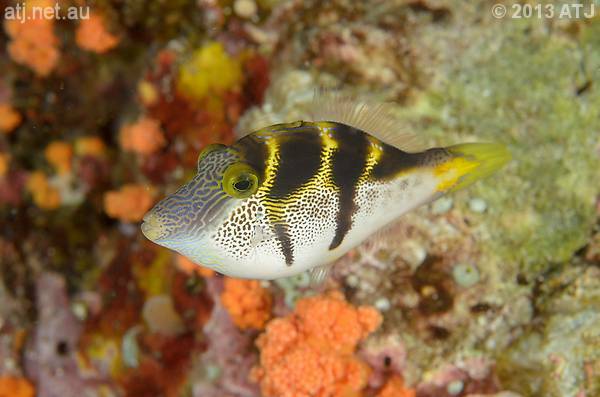 16.9 m.
Saddleback puffer, Canthigaster valentini. 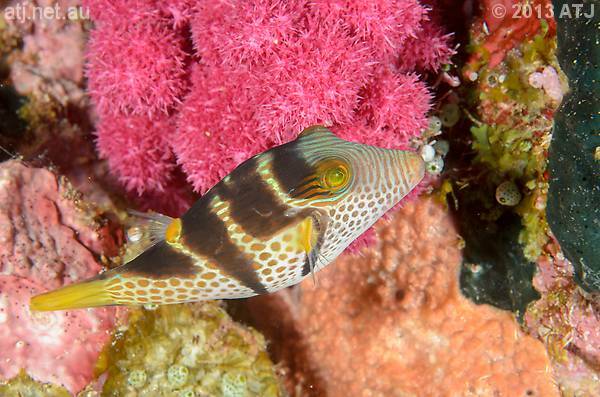 9.3 m.
Mimic filefish, Paraluteres prionurus. 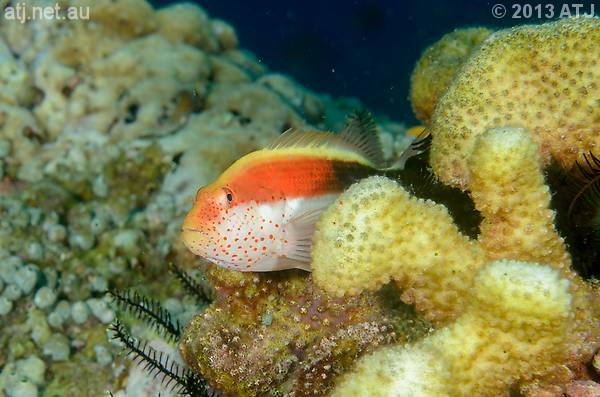 7.7 m.
Juvenile black-backed hawkfish, Paracirrhites forsteri. 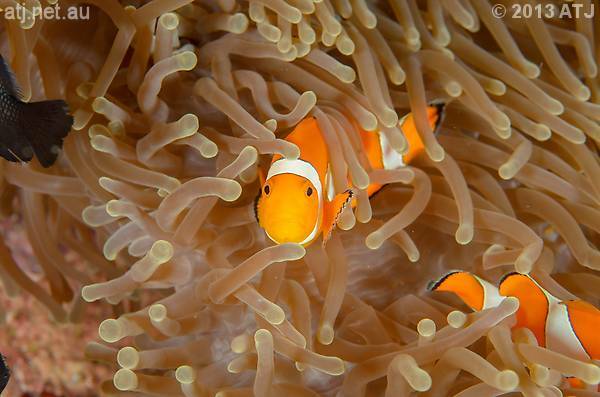 8 m.
Spine-cheeked anemonefish, Premnas biaculeatus. 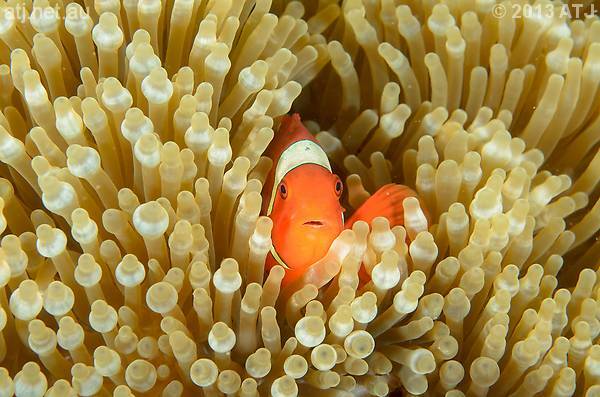 7.7 m.
Spine-cheeked anemonefish, Premnas biaculeatus. 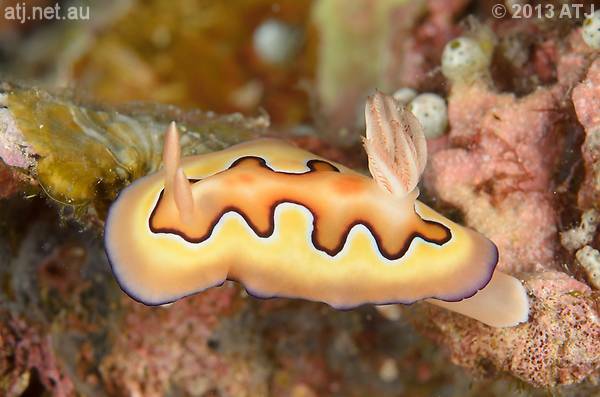 7.8 m.
Nudibranch, Chromodoris coi. 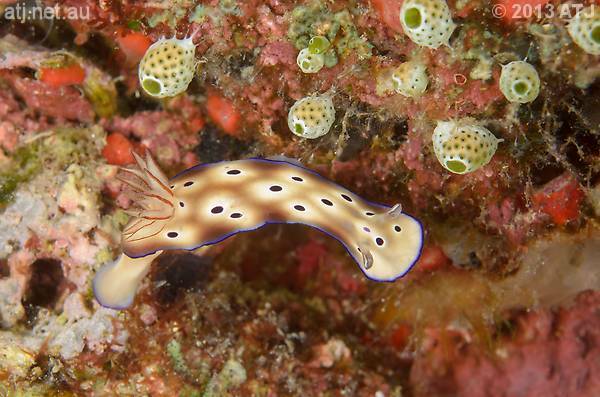 8.7 m.
Nudibranch, Risbecia tryoni. 6 m.